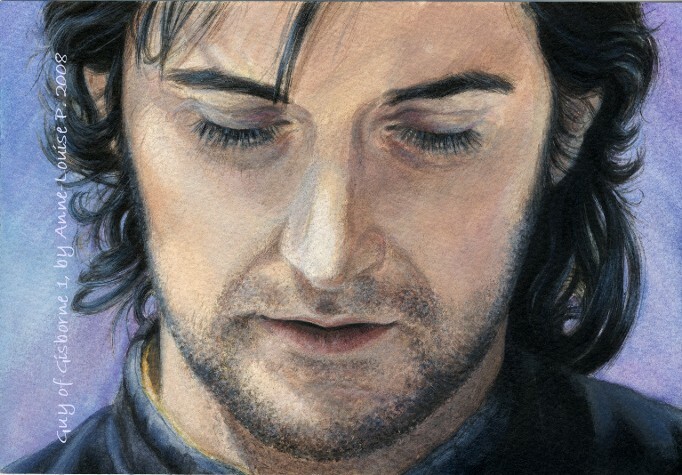 Guy of Gisborne and Robin Hood paintings. I found this photo I took years ago of a bunch of my Robin Hood series fan-art paintings, featuring Robin, Maid Marian – and lots of Guy of Gisborne, of course. Watercolour pencils, acrylic paints, water-soluble graphite pencil on 18 x 13 cm paper. Guy of Gisborne painting sequence pictures. Sir Guy of Gisborne on the Steps of Nottingham Castle.